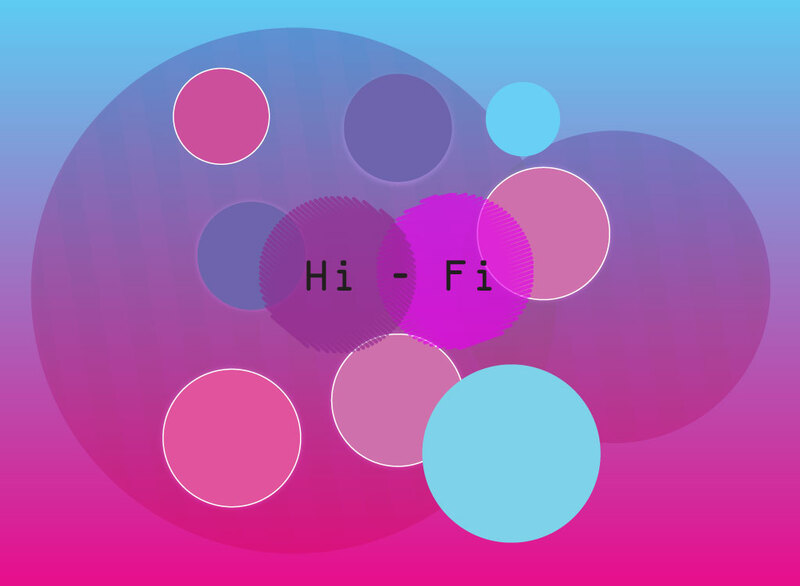 Abstract and decorative sound vector design made up of colorful circles and text reading “Hi-Fi”. Blue and purple spots with white strokes make up a technology themed composition. The free download could work well as a logo or ad for an audio and musical technology specialist company. Tags: Audio, Circles, Composition, Flyer, Geometric, High Fidelity, Layout, Sound.